Horseback Riding lasts Approximately 1- 4 hours depending on option chosen. 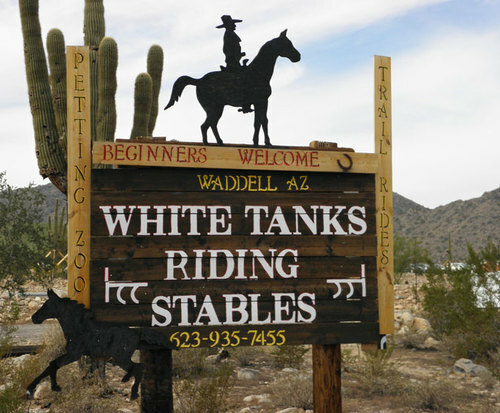 White Tank Stables Horseback Trail Rides is no longer available. Immerse yourself in the gorgeous ridges and canyons of the White Tank Mountains as you embark on an adventurous trail ride with White Tank Stables. 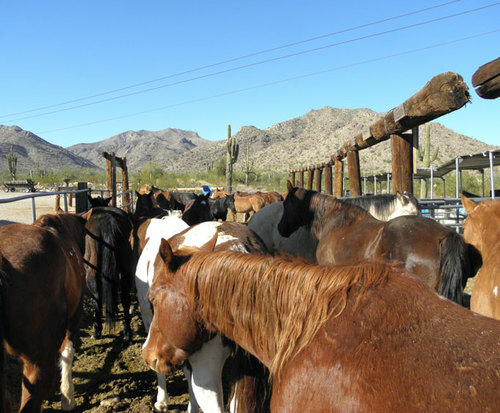 You'll set out from the stables near the entrance of White Tank Mountain Regional Park in Pheonix, Arizona on horseback as your experienced guide leads you on a leisurely trail ride into the beautiful park. Hold on tight as you and your horse travel through the Sonoran Desert, where the jagged ridges and deep canyons of White Tank Mountain are clearly visible. The 4,000-foot peaks of the mountain will tower above as you ride through the natural preserve filled with all kinds of fascinating wildlife. Keep your eyes peeled for mule deer, coyotes, javelinas, roadrunners and the cactus wren, Arizona's official state bird. Your guide will make sure to provide interesting facts about the wildlife and vegetation you see including the state cacti, the Saguaro, which can grow to be 70 feet tall! A White Tank Stables trail ride through the Sonoran Desert makes for an unforgettable family adventure and is an awe-inspiring way to experience America's remarkable southwest treasures. Riders should wear long pants and closed-toed shoes. Bring a hat and your sunglasses along for ideal comfort throughout the trail ride. 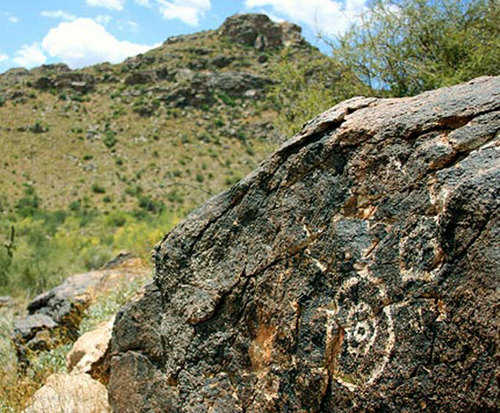 This mountain range is located in central Arizona and is home to the White Tank Mountain Regional Park. The name "White Tank Mountain" comes from the series of large depressions throughout the canyons that reveal the white granite rock below. They were caused by extremely heavy rains that caused flash flood waters to carve through the canyons, creating the depressions. The tallest peak, Barry Goldwater Peak, stands at an altitude of 4,083 feet. The hottest desert in North America, the Sonoran Desert covers 110,000 miles of the southwestern United States. A variety of unique plant and animal species make their home here and the towering Saguaro cactus is just one of the incredible sights you may see.